Kolo Torque (točivý moment) v stříbrném hliníku, leštěný límec 5.0 x 15 - ET +16 - PCD 5 x 205 mm 1ks. Wheel Torque silver 5.0 x 15 - offset +16 - PCD 5 x 205 each. Torque wheels, the Torque wheel is characterized by aggressive-looking spokes that are angled and curved in the cot are provided. The Torque runs a little note on the success of the EMPI and Crest rim but has had a very nice twist to know how to give. Would you exclusively for the day and do not like many brave the choice fall on a rim that everyone already under his car then the Torque definitely recommend it. Now no rim you daily encounters while they long for the popularity of the Torque is fast rising. 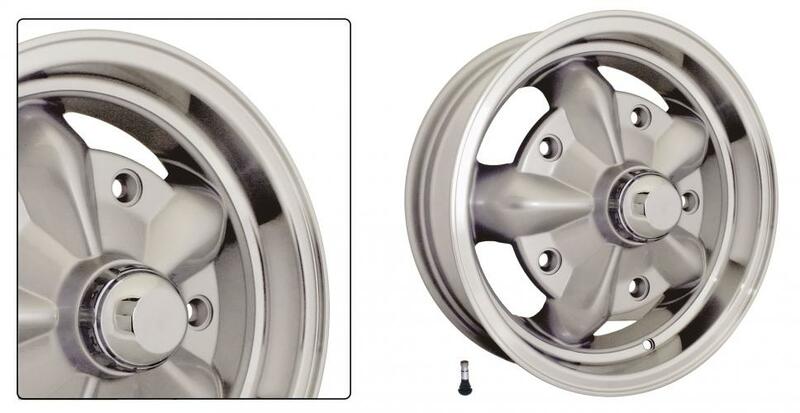 All Torque wheels feature a polished outer edge and is also available with polished spokes or black or silver paint sprayed. Comes with chrome Rim and valve.